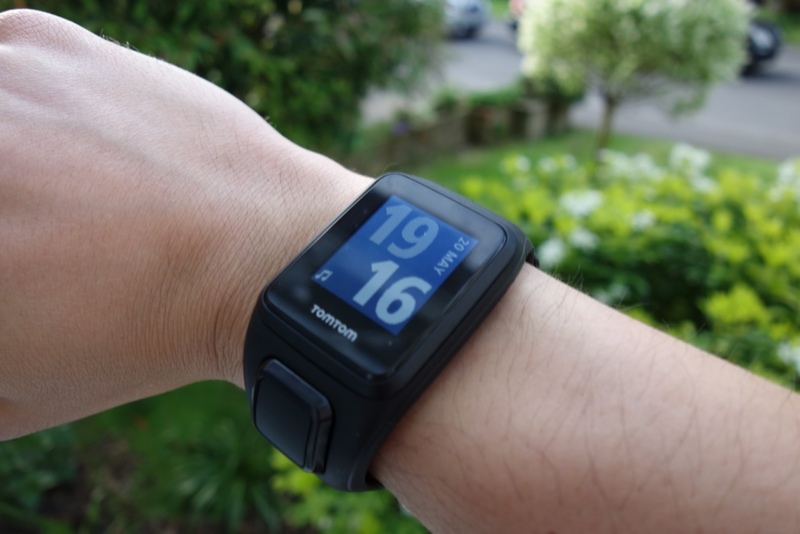 First of all I would like to thank TomTom for sending me the TomTom Spark Cardio + Music sports watch for review. The watch can be found for around £175 on AmazonUK and around $200 on AmazonUSA. Let’s get into the written review! A quick note of what you get in the box – You’ll find the watch, its charging cable and a set of manuals. As mentioned above, I got the earphones too, which come with their silicone tip sets and a microUSB to USB cable to charge the earphones. 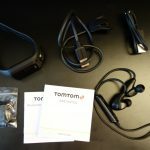 At the time to writing and in my review sample, I got a set of free TomTom Bluetooth headphones included in the package – which cost around £40-50. Given that this was a timed promotion, you should not include the headphones’ inclusion part of my review. On that note: The earphones do sound decent, but in comparison to alternatives out there, they’re overpriced for what they offer in terms of sound quality. The watch is well built, through its strap that can be replaced with ease. 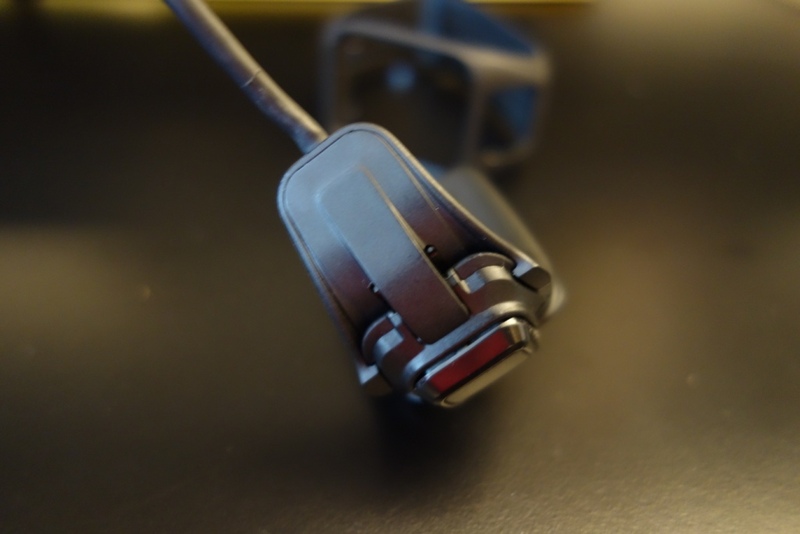 To get the main watch unit out, you simply press down on its square joystick and it pops the whole unit out of the strap. It’s very simple and easy to do, allowing you to change between different straps at your leisure. The strap is very secure and I opted for the large strap size. You can also get a small strap size, which will most likely fit a kid’s wrist too! It just goes to show that TomTom have thought about different ergonomics and you’ll be able to wear the watch no matter the size of your wrist. I found its double lock mechanism fantastic and simple to use. It permits you to securely wear the watch, without having to worry about it flying off whilst you’re doing sports. 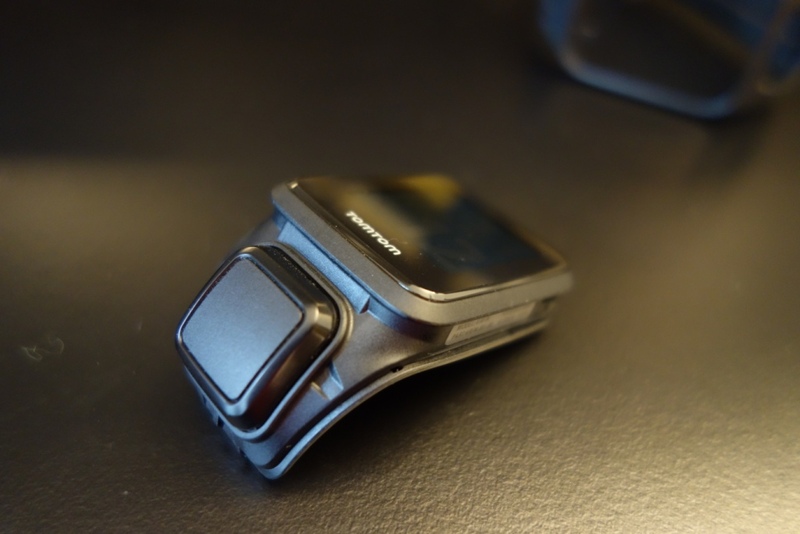 Moving to the watch itself, I found its rugged design to really complement its build quality. Its safe to say that the watch could be thrown around and still not break. Speaking of which, the watch is waterproof and can supposedly survive to about 40m depths. I haven’t tested that out in an extreme way, but can say it survives my sink/real-life water tests. Moving on to the screen which has a display resolution of 144×168 pixels, I found it to be a little boring, given its black and white colours. Sure, it’s easy to see no matter what light condition you’re under, but I would have really liked to see a little colour. It should be said that the watch does have a blue-tinted backlight, which enables you to easily see the watch’s screen in pitch black conditions. Despite the screen being black and white and having a low resolution, I did find it to be fantastic for bright-light conditions and even when using it in the evening, when there was minimal light. 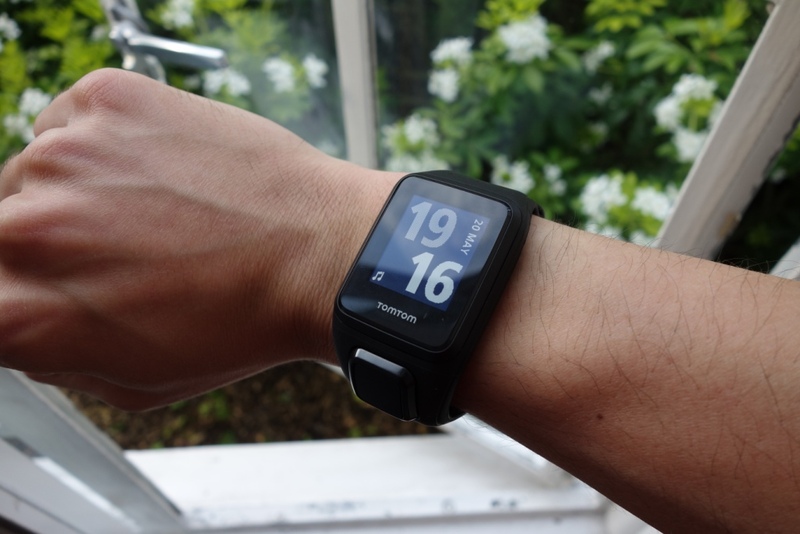 No matter the lighting conditions the TomTom Spark Cardio can be easily used on your wrist. Finally, the build quality wouldn’t be complete with a comment about its battery life. Something that I’ve always hated about the new fad of watches in the market is their miserably bad battery life. Even some top-rated watches only last around 20hrs – which to me is ridiculous. Why should I charge a watch every day? Thankfully the Spark isn’t like the rest. I found its battery life to easily last a week with solid use. I think its quoted three weeks battery life refers to the watch being totally inactive. 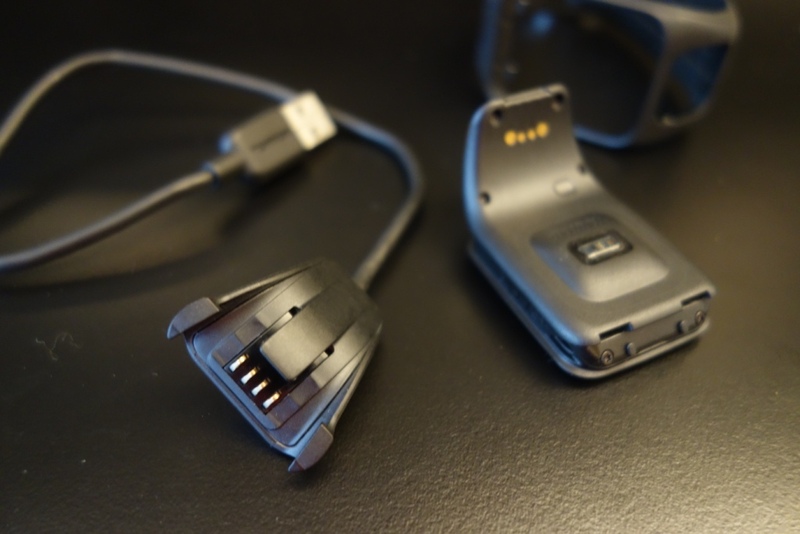 However, if you’re going to be using the GPS, heart rate and the music all at the same time, you’ll find the battery to quickly degrade down to 3-5hrs. So just bear this in mind when using the watch. Don’t expect miracles from the small battery, but in comparison to other watch manufacturers, the Spark does a fantastic job! I should also mention that the charging cable is proprietary, meaning you’ll need to keep hold of the cable that came with the watch. Its charger clips on securely and is also easy to remove. Overall, the build quality is fantastic and is really fit for purpose. The sports watch is aimed at athletes and those wanting to use it for fitness, not for a beauty-show. Given its purpose, the build quality is centred around a rugged feel and this makes the build quality fantastic for a watch of its stature. Now the design is a little subjective, however I do feel that the watch has a lack of personality and design elements, which would make your head turn to see it again. The watch’s design is bland, and through its black strap, I personally think it looks quite cheap – even though it’s an expensive watch to buy. 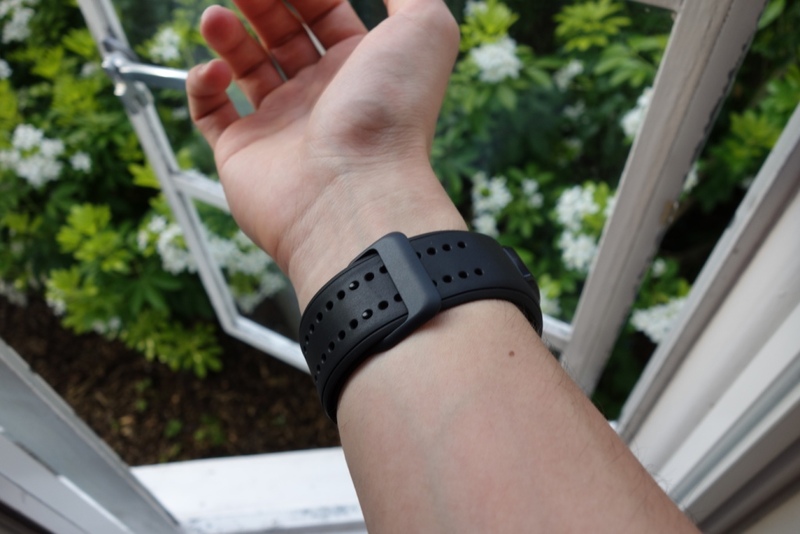 On the plus side, its straps are interchangeable, but do cost an additional £15-20 on Amazon depending on the strap you decide to get – meaning you can customise it and give the watch a little more colour. 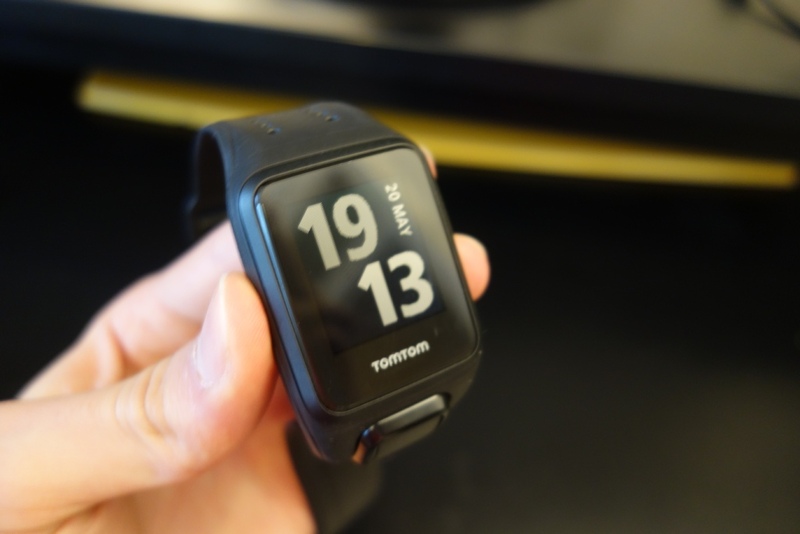 So I would say the design and looks aren’t great, but given its purpose and the market audience for those wanting to buy the watch, I feel the TomTom Spark Cardio is designed appropriately for the right crowd. Those getting this watch won’t be too fussed about a beautiful strap or even different watch faces – instead, would be looking for something that can survive a beating, has accurate statistics and is waterproof. In that respect, the design and looks aren’t exactly important, but still worth noting in the review. 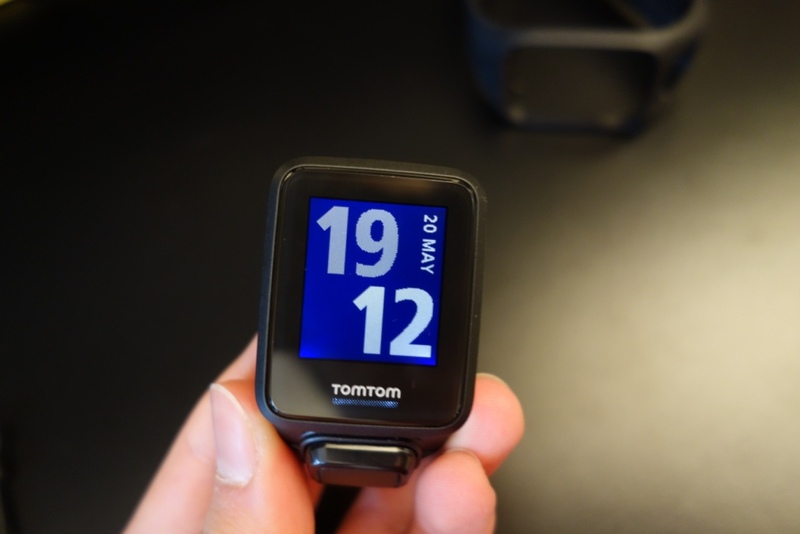 I should also mention, that the watch has a display size of 22x25mm and weighs 50g (according to TomTom). Given its size and design, I found it very comfortable to wear on my wrist – even when I was doing sport activities. Unlike other watches I’ve come across, be it Android Wear, the Apple Watch and so on, the TomTom definitely feels the best on my wrist. However, it’s a little chunky in comparison to other watches I’ve previously worn. Overall, its design is subjective – I personally don’t like it, but given its functionalities and rugged design, I can’t really complain all that much! The watch has multiple different functionalities and is aimed at those wanting to really monitor their sport activities. No matter which version of the TomTom Spark you get, it comes with GPS + GLONASS, giving you more accurate readings through your workouts! There’s various TomTom watches, the Spark, Spark Music, Spark Cardio, Spark Cardio + Music. In my case I got the Spark Cardio + Music for review. 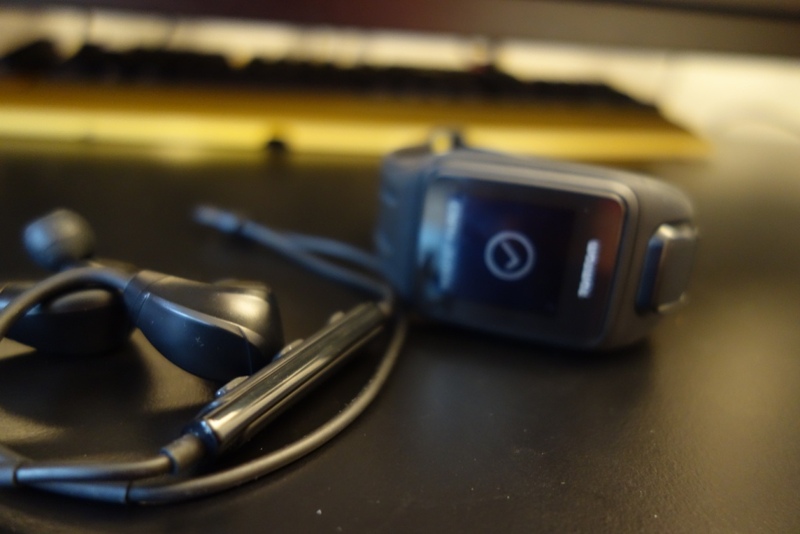 Through the ability to store music, and have it stream over Bluetooth to your headphones/earphones, you can essentially completely ditch your phone when you do a workout – an extremely handy and useful feature, which not only allows you to concentrate better without your phone being a distraction, but permits you to listen to your favourite songs on the go! The only problem is its storage, and I would have loved to have 16GB or more storage, rather than a minuscule 3GB, meaning my entire 9GB music folder wouldn’t fit. So, if you’re looking to put on albums, you’ll have to refrain and pick out your favourite few songs! 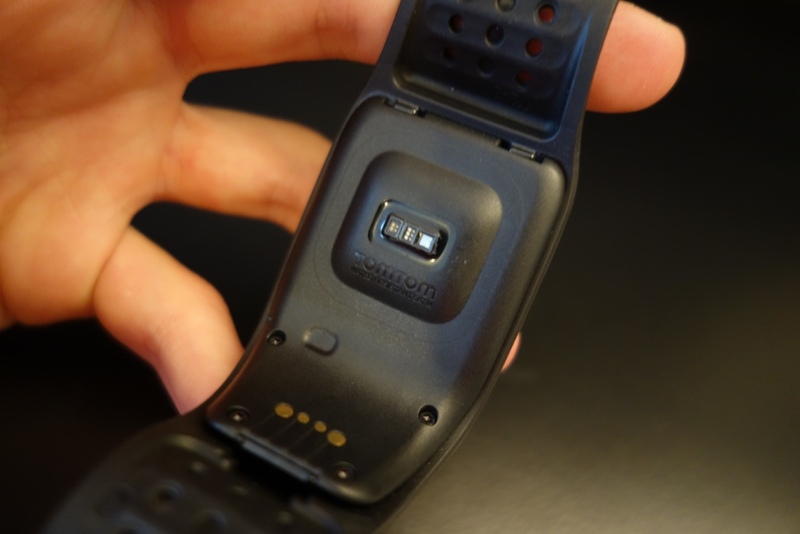 I would say, depending on the size of your songs, you can fit around 300-400 songs in the TomTom watch. 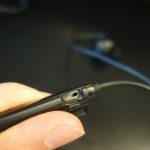 Speaking about its music capabilities, I would like to make a point about its Bluetooth connectivity. I found the connection to my earphones a little hit and miss. I got it to pair easily, but when using the watch with a set of earphones connected, the music would cut-off for a split second whilst I was scrolling through the menu. As if the watch has a little lag when being used at the same time as the music being played. A really annoying feature, given the watch’s functionality. 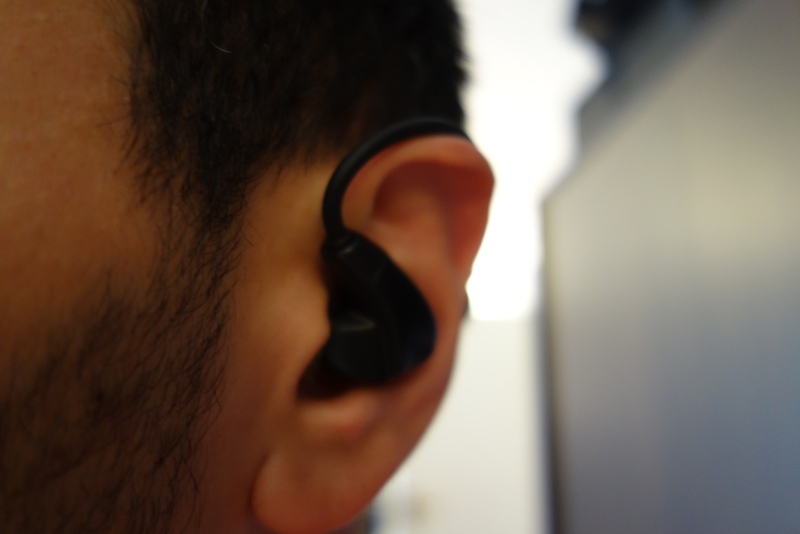 The Bluetooth transmission is also a little disappointing, especially if you walk around 10m from the watch your earphones will disconnect. Whereas with my phone the earphones disconnect at around 15-20m (so it’s a watch issue). I also found its music controls a little frustrating – I’ll cover this in my software section. Continuing with its functionalities, the watch has multiple different presets allowing you to track and monitor different activities. 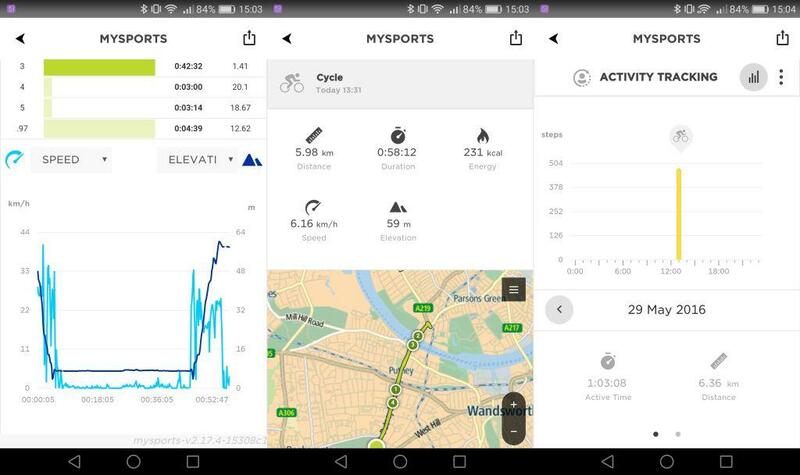 For example, you can track your running, treadmill, cycling, indoor cycling, swimming, gym and even freestyle stats, by simply moving the joystick to the right and then scrolling through your various options. You can even use the stopwatch option, which will provide you with a simple stopwatch, where you can also take splits – a handy feature! The best part of the watch is its ability to synchronise to your phone, and provide you with in-depth stats of your activities. In my case, it perfectly tracked my cycle to the hairdressers and gave me a full breakdown of the distance, time and calories I burnt. Finally, the heart rate monitor to me is accurate – in comparison to a blood pressure monitor, the watch displayed accurate results and was impressive given its real-time statistics can tie into your workouts. As with all watches, you shouldn’t use this as a means of replacing a medical device. If you have a heart condition or you’re worried about your BPM heart rate, then you really shouldn’t rely on smart-tech. The watch (among others) gives you a reasonably accurate ball-park figure. I did find the TomTom Spark to be accurate, but still be wary of trusting it versus seeing an actual doctor! I should also mention that when you enabled the heart rate sensor, it beams a green light under the watch. Overall, its functionalities are fantastic – there’s so much the watch can do, including being a pedometer, which counts your steps. I would have liked to see the heart rate monitor on the front screen, where it would have been a little more apparent. I found the overall software experience to be decent. It’s not fantastic, but given its use it does the job well. My major gripe with the software was its lag when being first used on a power-on. In other words, if you have the watch on standby and decide to interact with it, it has a slight lag. However, when it is being used, I noticed no lag whatsoever. The software interface itself is pretty easy to understand, but you can also easily miss a lot of features, if you don’t dig around your Spark. For example, from the clock interface, hitting the left button on the joystick, reveals your daily step counter. Hit left again and you’re presented with your weekly counter. Then if you go down, you’ll then see a bunch of other stats (such as your calories you’ve brunt) – this can easily be missed, if you’re not fully paying attention to all the software’s menus. This same principle applies when you’re doing your activities, such as cycling. You can scroll down to reveal the settings, then move left and right within that new menu to reveal other settings! If you want to get out of an activity, you hold down the left button for a slight extra second and it pauses it. Essentially what I’m trying to say is that the software is well designed, but you really have to play around with your watch to fully understand it. I would say I’ve spent a good 2-3hrs just playing around with the software and discovering different features and functionalities. That’s not necessarily a bad thing, but can be hard for those who just want to use the watch in a certain way and thus overlook a lot of features. I should also mention that the software of the app is also backed up by its MySports app (in my case I have an Android phone) and its MySports Connect desktop program. Both are used to visualise and display all your statistics, where through the desktop program you can also transfer your music across to your watch. The whole TomTom integration and app/program functionality really bring the watch to life. It feels as if TomTom have really thought about the program and the way they are going to be used by its customers. Top marks to the company for the creation of two brilliant program/app that complement the watch fantastically. Overall, the watch is not perfect, but I’ve yet to really come across one that ticks all the right boxes. In my opinion the TomTom Spark Cardio + Music is designed to fit a certain need of people wanting to go on runs or do various sports activities. What I like about this watch, is that it isn’t trying to be something it isn’t. It’s fit for purpose and despite it being a little rough around the edges, both in terms of its software or looks, it does the job valiantly and I can see myself easily recommending the watch for those wanting it for that exact reason. In a nutshell, if you’re looking for a watch that can track your activities, give you a full breakdown of the stats and be a watch with a good battery life, then the TomTom Spark Cardio + Music should be on your wish list. 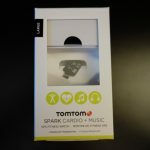 This entry was posted in Technology & Gadgets and tagged sports watch, TomTom, TomTom Music, TomTom Spark, TomTom Spark Cardio, TomTom Spark Cardio + Music, TomTom Spark Cardio + Music review, watch on May 29, 2016 by TotallydubbedHD.